RL Summer faculty, staff and coaches have a variety of backgrounds and experiences that they energetically bring to the program and our campers each day. RL Summer teachers and coaches are members of The Roxbury Latin School faculty, teachers from other local independent and public schools, coaches at colleges and universities, or experts in the fields of education and art, industry and science. Regardless of their fields and backgrounds, they bring to RL Summer their expertise and energy, as well as their deep care and commitment to the young people in their charge. 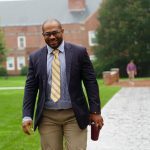 Orlando Patterson joined The Roxbury Latin School as Director of Summer Programs and head football coach in spring 2017. 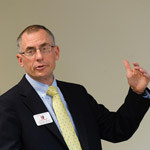 Prior to his joining the staff at RL, Orlando worked at Tabor Academy where he served as associate director of admission, football coach, advisor and dorm parent. A graduate of Tabor, he majored in sociology at Hobart College, where he played for four years on the varsity football team. He taught history and coached at Maine’s Bridgton Academy and then went on to teach, coach and serve as athletic director at the Blue Ridge School in St. George, Virginia. 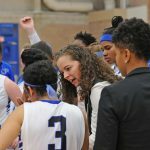 The girls basketball clinic will be run by Kristina Baugh, the Head Women’s Coach at UMass Boston. Kristina led the UMass Boston team to its first ever Little East Conference Championship win in the school’s history. She played for Providence College and served as a DI Assistant Coach for eight years. She will be joined by a team of college coaches and players. 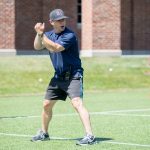 Dave Cataruzolo is Roxbury Latin’s head varsity baseball coach and former assistant baseball coach at Trinity College. Coach Cataruzolo has also served as Trinity’s head hockey coach and Director of Hockey Operations at Harvard University, and is currently head varsity hockey coach at Roxbury Latin. 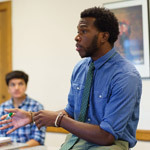 He is a member of Roxbury Latin’s alumni and development office. Tori Fitzgerald graduated from New Hampton School in 2014, where she played varsity field hockey, ice hockey, and softball. She earned her degree in psychology from Bates College, where she minored in education. At Bates, Tori was a member of the field hockey and softball teams. Tori currently works at Suffield Academy in academic support, and she also coaches field hockey and softball there. 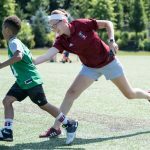 Returning for her second summer at Roxbury Latin, she is excited to continue developing the Junior Sports Summer Camp. 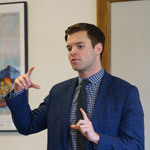 Andrew Kingsley teaches English at The Roxbury Latin School as a Fellow at the Penn Graduate School of Education, where he will receive his master’s in May of 2019. Andrew graduated with a degree in English from Dartmouth College and is an experienced private tutor for the ISEE, SSAT, SAT, and ACT. 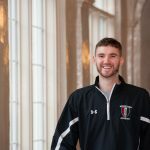 Kyle Layne-Allen teaches Accelerated Latin 1-2 and Latin 3 at The Roxbury Latin School as a Fellow through the University of Pennsylvania, where he will receive his Master’s in Secondary Education and Teaching in 2019. He graduated from Colby College in 2013 with a double major in Classics and English with a creative writing concentration. Visaury Moreta teaches Spanish at The Roxbury Latin School as a Fellow through the University of Pennsylvania, where she will receive her Master’s in Education in 2020. 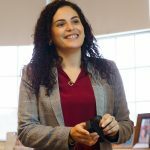 She graduated from Holy Cross in 2018, where she majored in Spanish and Latin American/Latino Studies, and minored in Education Studies. Rob Opdycke has been a member of the Roxbury Latin faculty since 1999, where he is Director of Music and conducts the school’s esteemed Glee Club and Junior Chorus. 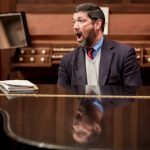 He is also faculty advisor to RL’s longstanding a capella group The Latonics, working with the students weekly on their repertoire and arrangements. Outside of school, Rob is a long-time member of Similar Jones, a vocal rock band that last spring was invited to be part of Boston Sings 2018 Professional Showcase. Rob earned his bachelor’s degree from Harvard College, where he studied music theory, composition, and choral conducting. The boys’ basketball clinic will be led by Roxbury Latin’s head Varsity Basketball coach, Sean Spellman. Sean is a graduate of The Roxbury Latin School and currently serves as the school’s Assistant Athletic Director. He played on RL’s varsity basketball team for four seasons and captained the team his senior year. In leading the summer clinic, he will be joined by collegiate players as well as current and former members of the Roxbury Latin varsity team. Josh Wildes is Roxbury Latin’s head varsity coach. Mr. Wildes wrestled for the Pomfret School and for Wesleyan University. After graduation, Coach Wildes coached at Salisbury School before joining Roxbury Latin as head coach in 2012. As a coach, his goal is to impart his passion for the sport onto his wrestlers. 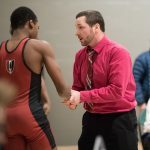 He was named the 2018 Prep School Coach of the Year by the Massachusetts Chapter of the National Wrestling Hall of Fame. Last winter, he led the RL varsity team to a 12-1 season in the ISL. 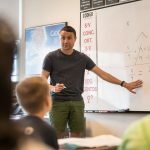 Mr. Wildes is a member of Roxbury Latin’s math department.